A still from Roisin O's video for "The Tea Song"
With now 70,000 Irish emigrating every year Roisin O’s video-makers decided to use this vast resource to a great affect. They reached out the #Teaspora, the tea drinking Irish immigrants around the globe, to contribute to their video for Roisin O’s “Tea Song”. The footage gives a poignant snap shot of young Irish immigrants around the globe from New Zealand, Hong Kong, Australia, London, Italy, a family in Denmark, and more the video shows the tea drinking Irish shattered around the globe. 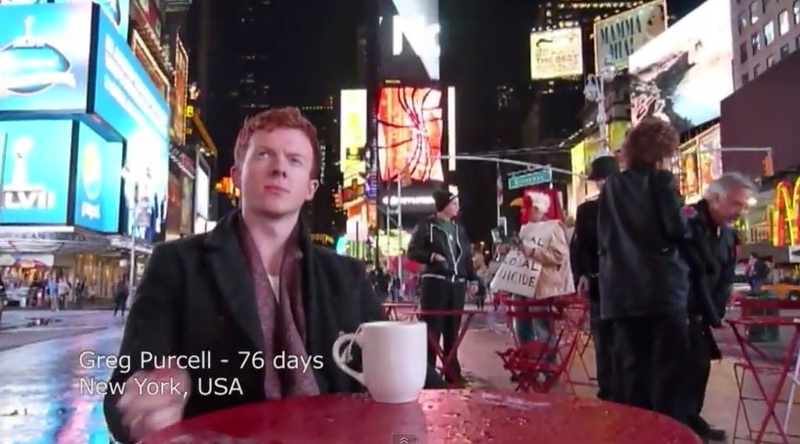 The video also lists the number of days these immigrants have been away from home. The constant in all of these clips is a cuppa cha. What’s better and more comforting when you’re away from home, as long as it’s Barry’s or Lyon’s of course. For more information visit Roisin O’s website here.